You kids and your #nofilter tags. Everything’s filtered! The engineer who built your camera made dozens of decisions about color, lighting, and contrast processing. So for this week’s Shooting Challenge, let’s celebrate the filter. Nay, let’s full-out ROAST the filter. Hearts. Anime characters. Extreme bokeh-ed out David Hasselhoffs. I don’t know what kind of filters exist in the darkest corners of the internet, but I bet you do. So find them, apply them, tell us where you found them—and if you’re a coder or something, super bonus points if you make your own and share it with the audience. 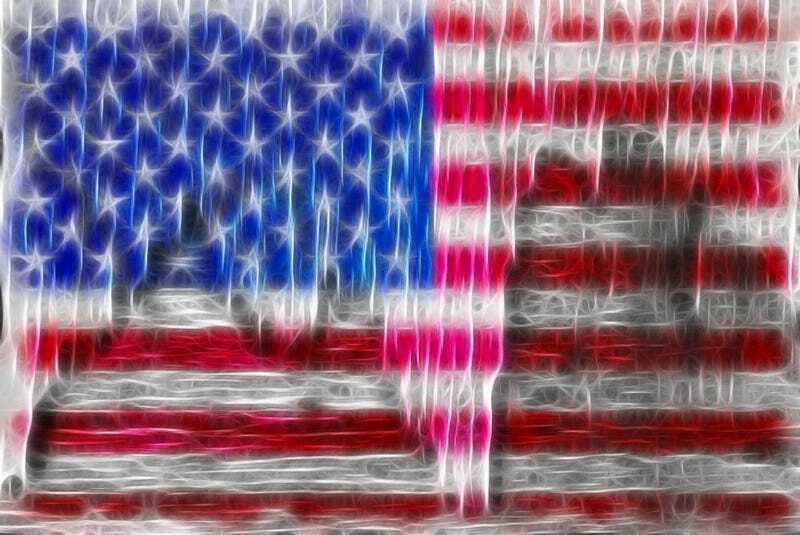 Our lead shot is by Beverly & Pack: “Old Glory, Patriotic Rustic Peeling American Flag with the Fractalius Filter added, creating much more depth as well as color.” Bring it. Send your best photo by Tuesday, September 8 at 10AM Eastern to contests@gizmodo.com with “Filter” in the subject line. Save your files as JPGs, and use a FirstnameLastnameFilter.jpg (970px wide) and FirstnameLastnameFilterWallpaper.jpg (2560px wide) naming conventions. Include a story of the shot in a few sentences. And don’t skip this story part because it’s often the most enjoyable part for us all beyond the shot itself!